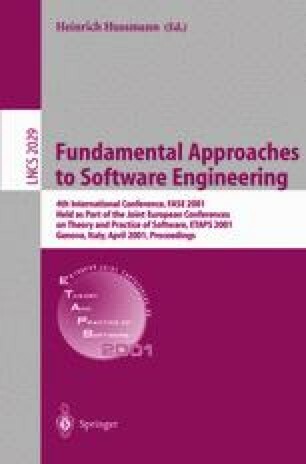 This paper describes a specialised logic for proving specifications in the Java Modeling Language (JML). JML is an interface specification language for Java. It allows assertions like invariants, constraints, pre- and post-conditions, and modifiable clauses as annotations to Java classes, in a design-by-contract style. Within the LOOP project at the University of Nijmegen JML is used for specification and verification of Java programs. A special compiler has been developed which translates Java classes together with their JML annotations into logical theories for a theorem prover (PVS or Isabelle). The logic for JML that will be described here consists of tailor-made proof rules in the higher order logic of the back-end theorem prover for verifying translated JML specifications. The rules efficiently combine partial and total correctness (like in Hoare logic) for all possible termination modes in Java, in a single correctness formula. A. Bhorkar. A run-time assertion checker for Java using JML. Techn. Rep. 00-08, Dep. of Comp. Science, Iowa State Univ. http://www.cs.iastate.edu/~leavens/JML.html, 2000. G.T. Leavens, A.L. Baker, and C. Ruby. Preliminary design of JML: A behavioral interface specification language for Java. Techn. Rep. 98-06, Dep. of Comp. Sci., Iowa State Univ. http://www.cs.iastate.edu/~leavens/JML.html, 1999. Extended static checker ESC/Java. Compaq System Research Center. http://www.research.digital.com/SRC/esc/Esc.html.